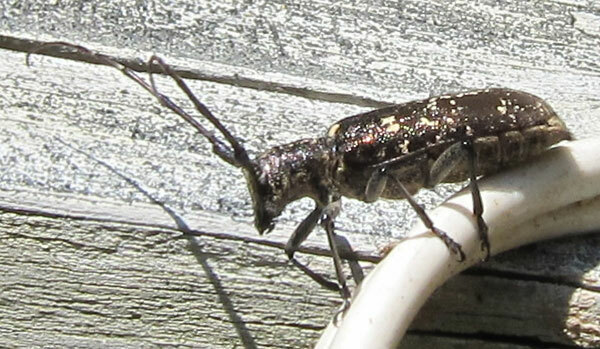 Sawyer beetles, also known as pine sawyer beetles, get their name from the way they saw wood. 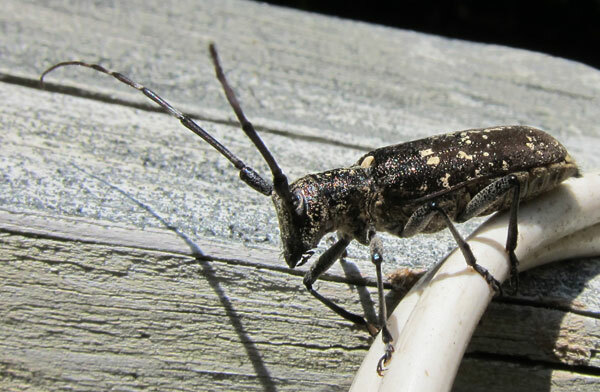 This one is a whitespotted pine sawyer beetle, or Monochamus scutellatus. 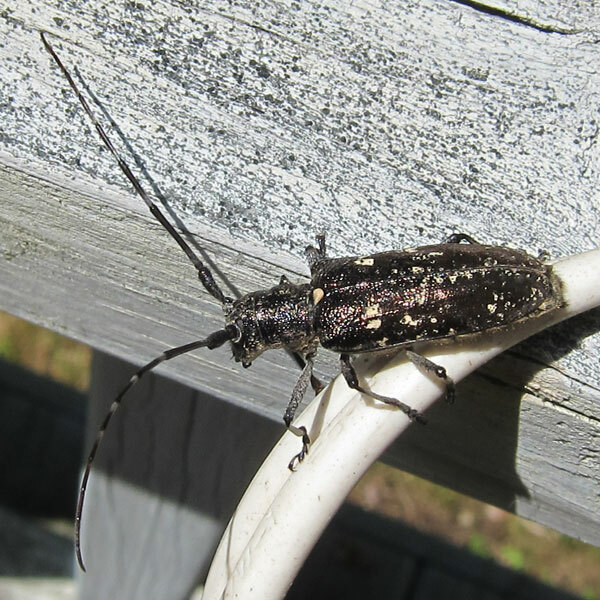 They are often confused with the Asian Longhorned Beetle because they both have long antennae and black beetle bodies with white spots. 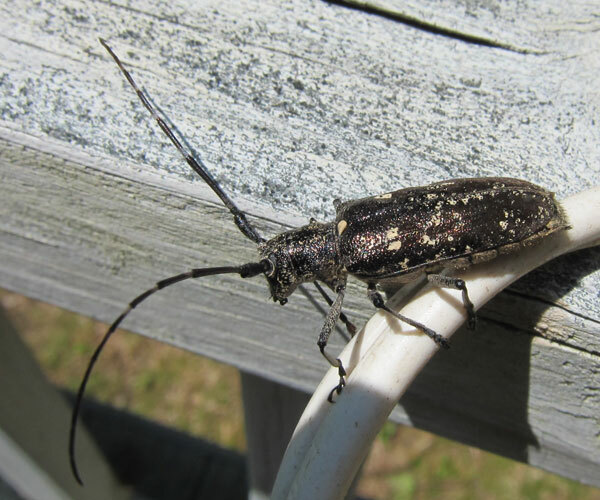 However, while the Asian Longhorned Beetle is a pest that needs to be eradicated, the whitespotted pine sawyer beetle is innocent! We should leave these beetles alone. 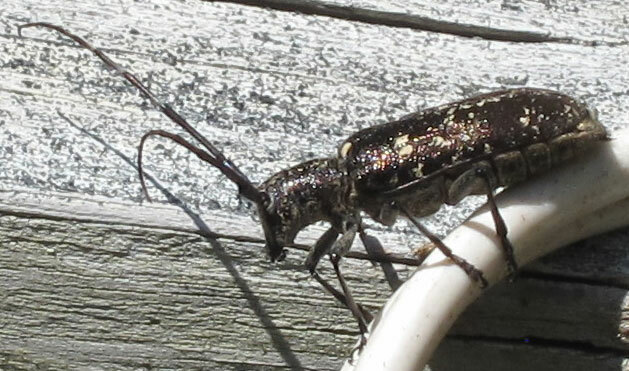 The way you can tell an Asian Longhorned Beetle from a whitespotted pine sawyer beetle is to look at their shoulderblade area, right below the neck. See the round white dot there? That means it's a good beetle. 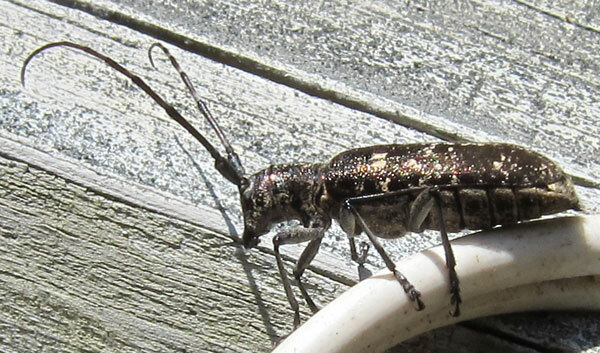 Only the sawyer beetle has this dot. 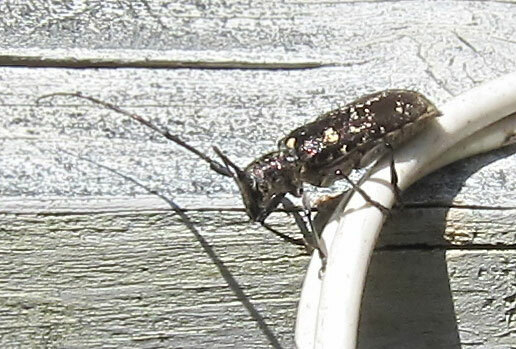 Whitespotted pine sawyer beetles are found all over the northeastern part of the US. They tend to like pine and spruce trees. Woodpeckers like to eat them.